Bott Radio Network KSIV 95.9 / 1320 on Nov. 23, 2018. Polarized. Pluralistic. Post-Christian. Positively puzzling, right? What does it mean to be the people of God today? If a Christian feels like an exile within their own country, how do they react to those around them who don't seem to be walking the same path? On a recent Bott Radio Network #EncounterKSIV, Rick McKinley joined us for a conversation based from his newest book from Baker Books, Faith for this Moment. Rick spoke from his calling and experience while serving through the Imago Dei Community in Portland, Oregon. This interview originally aired on Bott Radio Network KSIV 95.9 / 1320 on Nov. 9, 2018. After suffering a traumatic brain injury at age 15, Jennifer Barrick defied physicians and experts who didn't expect her to live. Instead, she emerged from a five-week long coma to sing praise songs and quote Bible verses. In the book she and her mom, Linda wrote together, Jen shares open and honest insights for teen girls. Learn more about the book, Priceless: Who I Am When I Feel, and their ministries at www.HopeOutLoud.com. You may also click on the link below to hear the Bott Radio Network #EncounterKSIV interview. You'll be blessed at the joy that pours out of their hearts! This interview originally aired on Bott Radio Network KSIV 95.9/1320 on November 16, 2018. Covered in dust from the road, the Apostle Paul had to face the One whom he had been persecuting. As he did this that day and the years ahead, he continuously had to wrestle with living the life that Jesus died to give him. 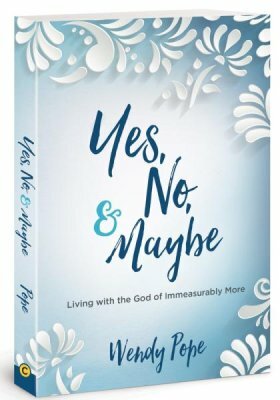 To help women on their faith journeys, speaker and author Wendy Pope, joined us on #EncounterKSIV to share her new David C Cook title, Yes, No, & Maybe. Listen to the interview below as Wendy challenges you to consider the heartfelt issues that can revitalize relationships with God. "Yes" can cultivate an unbreakable trust with God. "No" can invite you into revelation into who God designed you to be. "Maybe" welcomes the freedom to confidently love, give, and serve in God's Kingdom. This interview originally aired on Bott Radio Network KSIV 95.9 / 1320 on November 2, 2018. There is little doubt that one of the most challenging cultural questions with which the Church must wrestle is the one on sexuality. Over and over again, the Church is confronted with "you must" demands from the world. And yet, the Church is called to be faithful to the Word of God. How then can each church determine how they can fulfill the Great Commission? These questions (and more) are addressed in the InterVarsity Press, What Does It Mean to be Welcoming release, by Travis Collins, the pastor of First Baptist in Huntsville, AL. 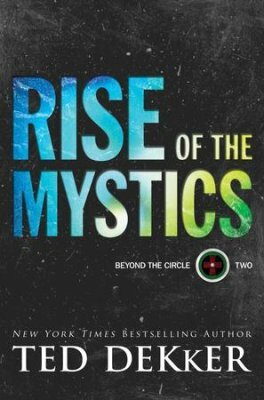 Working from a traditional perspective (“welcoming but not affirming”), Collins calls readers to grace, truth, and humility in a very complex world! Listen to the interview below to hear from Travis. While that may seem like a simplistic question, there are some who think children should be relegated to rote prayers at mealtime or bedtime. However, the sooner you can introduce a child to the Word of God and help guide them to developing conversations with God, the more solid their foundation will be! 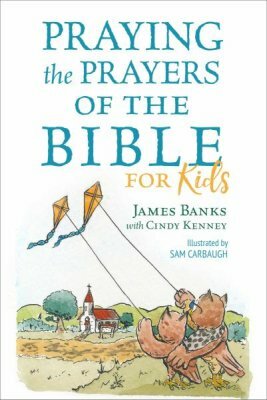 James Banks, author of wonderful treasures like Prayers for Prodigals and Praying Together, has a new book to help you. Praying the Prayers of the Bible for Kids takes kid-friendly translations of Scripture and blends them with both rhyming verses and interactive prompts to help children understand and apply God's Word. Learn more about James at www.JamesBanks.org. You may also listen to the Bott Radio Network #EncounterKSIV interview posted below! Shame. It can be a weight that drags you down, and down, and down... Whether it was something of your own doing or caused by someone else, we need to understand through God's Word how He is bigger than any of the things of our past. Denise Pass - Author/Speaker/Worship Leader joined us on Bott Radio Network #EncounterKSIV to share her book from Abingdon Press, Shame Off You. Denise wrote from her own experience as well as through stories of others who have come to know the freedom through the love and grace of Jesus Christ. This interview originally aired on Bott Radio Network KSIV 95.9 / 1320 on October 26, 2018. It's been too long since Tricia Goyer joined us on Bott Radio Network #EncounterKSIV. However, she was back on October 26th to share an insightful (and experienced!) 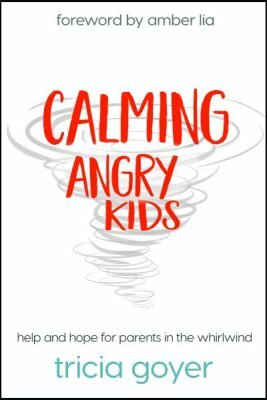 book from our friends at David C Cook - Calming Angry Kids. If you have ever felt like you were caught up in a whirlwind of chaos and anger, Tricia Goyer brings us back to a place where we can take a deep breath. Listen to the interview and check out the book to learn how you can understand and respond in a manner that calms rather than ignites a trying situation. But, isn't God still good then? Perhaps the issue isn't about God but about you and me? Maybe we need to save our faith by losing our false expectations of God? Luke Norsworthy joined us on Bott Radio Network #EncounterKSIV to discuss these questions. Luke, pastor of Westover Hills Church in Austin, TX, also shared from his new Baker Books release, God Over Good. This interview originally aired on Bott Radio Network KSIV 95.9 / 1320 on October 19, 2018. "My kids are perfect in every way!" …said by no parent ever without their fingers crossed behind their backs! Let's be honest. Parenting is hard. But there IS help! Dennis Rainey joined us on Bott Radio Network #EncounterKSIV to share the new book from FamilyLife, The Art of Parenting. 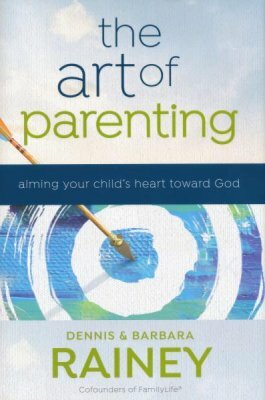 Written by Dennis and his wife, Barbara, the book presents much needed wisdom and direction for parents and families today. It's also part of a much larger program - including a video study series - that can be an incredible resource for churches. This interview originally aired on Bott Radio Network KSIV on October 12, 2018. Justin Zoradi was haunted by a question: "How can we live out the grand theory of calling in our everyday, ordinary lives?" As he traveled from California to Michigan and even as far away as Africa, Justin found a simple path. When God gives you an opportunity, say yes. To be clear, it's not about trying to do everything. It's about doing what God wants you to do. And then doing it again. Or doing more. Justin founded These Numbers Have Faces and now shares more of his story through Made for These Times, a field guide for those pursuing purpose. Justin joined us on Bott Radio Network #EncounterKSIV to share more about his life, the book, and what you can do as you seek to glorify God through your life. There are some simple words that we should consider sacred. Grace. Blessed. Confession. Spirit. Family. However, as Jonathan Merritt moved from his home in the Bible Belt to New York City, he discovered that his "language" was not heard in the same way. He had to start over and, as the title of his book reflects, begin the process of "Learning to Speak God from Scratch". Jonathan joined us on Bott Radio Network #EncounterKSIV to share his story and to present a liberating approach to sharing the Savior with people who need to hear His Story! This interview originally aired on Bott Radio Network KSIV on October 5, 2018. Writer of 10,257,832 books, Dr. Kevin Leman is well known for his ministry to parents, families, and everyone he can get to listen. OK - we joke, but only because he does too! The simple truth is that Dr Leman is a noted expert whose is willing to share what God has taught him over the years AND he does so with joy and laughter! He will be in St Louis the weekend of October 13-14 in a special conference at www.EFree.org. Dr. Leman joined us on Bott Radio Network #EncounterKSIV to share about the conference as well as many of the great resources available for parents and families. September is Childhood Cancer Awareness month. After struggling through some incredible challenges in her own life and ministering to others in crisis, Kristen Barnett decided to help in a different way - through Watts Bugging You. Written to help families with children ages 2-7, the first book, The Bug Who Thought He Lost His Buzz, is now available. This interview originally aired on Bott Radio Network KSIV on September 21, 2018. Support LRM by purchasing through this affiliate link! For more than 30 years, Leading The Way with Dr. Michael Youssef has been passionately proclaiming Truth without compromise. Dr Youssef took a break from his packed schedule to join us on Bott Radio Network #EncounterKSIV to share wisdom and insight from his new book, Life Changing Prayers. In his own words, his first response was "Not another book on prayer!" but as he sought to discern if this was God's leading, he realized that there was still much that could be considered. From "ordinary people", God could truly do extraordinary things. You'll be inspired to dive deeper as Dr Youssef takes us to God's Word and precious examples of prayer - including Eliezer, Habakkuk, Hannah and more! Support LRM! Purchase through this link. A plan to take control of our need to take control may sound like an oxymoron. However, Jennifer Dukes Lee has written a new book from Tyndale House Publishers that covers just that issue. "It's All Under Control" takes you from being unable to say "no" to being able to find the courage to do the really hard things that God wants you to accomplish. Jennifer joined us on #EncounterKSIV Bott Radio Network to share more from her book and life. Listen to 12-minute interview by clicking on the link below. Would a 1,200+ page INTRODUCTION to Christian Ethics scare you? While I confess it appears a bit intimidating, the new Crossway book from Wayne Grudem presents ideas of moral reasoning in a careful, and grace-filled manner. Using a structure rooted in the Ten Commandments, Dr. Grudem takes readers from God's Character to the purity of our hearts. He doesn't shy away from current issues of race, gender, or anything else as he presents the Word with a tender heart in incredibly readable pieces. Click on the link to listen to a special conversation with one of the great teachers in evangelicalism today.